This is one of my favorite ideas! Ever try a Christmas Children's Lantern Procession? It would be so cool for a Christmas Eve service! The kids would need to get together to create their lanterns and could take them home afterward. I suggest you not use actual candles as that may be asking for trouble. If moms want to use them at home then I'd let that be their choice but kids walking through the congregation with open flames... maybe not... even in jars. The cutest and easiest examples I found were on henryhappened.com. Strong Twine or Fine Wire - to make the handle tightly wrap the twine around the lip and leave a nice loop. Tissue Paper & Glue or Modge Podge - can give it a great stained glass look. 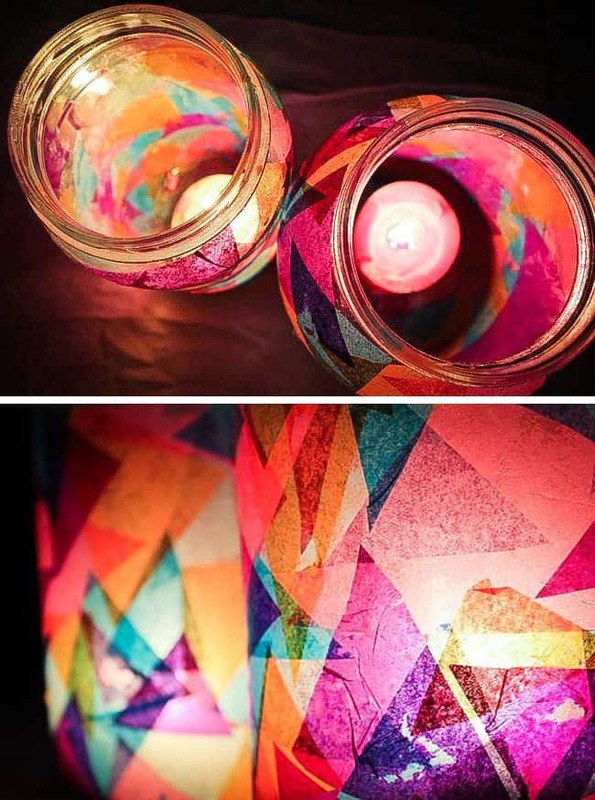 Sheets of Vellum - color on them with Sharpies and slip them inside around the edges of the jar. Colored Sharpie Markers - can be used to color vellum or even right on the glass. If you want them to color on the glass you can make it more permanent by putting them in the over for about 30 min. Aluminum Foil - to make small silver stars to attach to the outside. Ribbon - to tie around the lip. Doilies - can be colored, cut and glued strategically to look like lace. Black paper can be used to create a silhouette of a manger or an angel. Just imagine all the little kidlets carrying their lanterns as they process in with the choir. They could walk all the way in and out with their lanterns or there could be a special place where they put them up front as amazing creative decorations. They'll look like a bunch of twinkling stars if displayed creatively. ALL SAINTS: Surrounded by Saints!